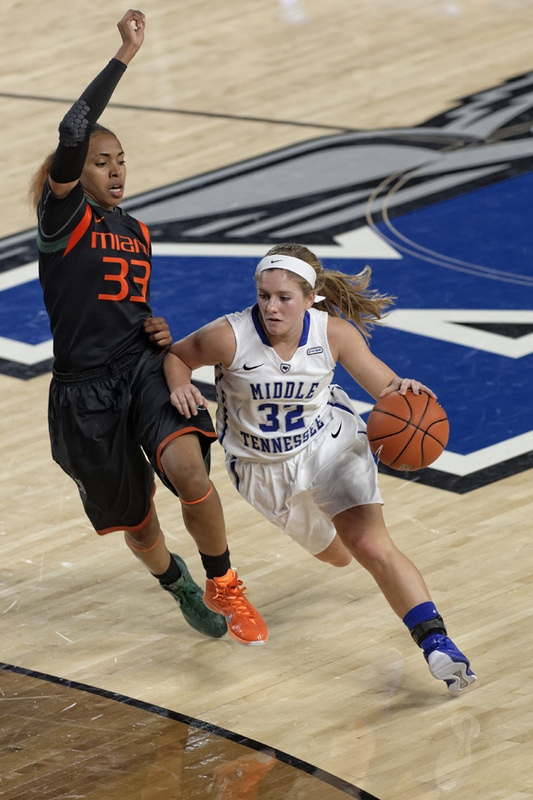 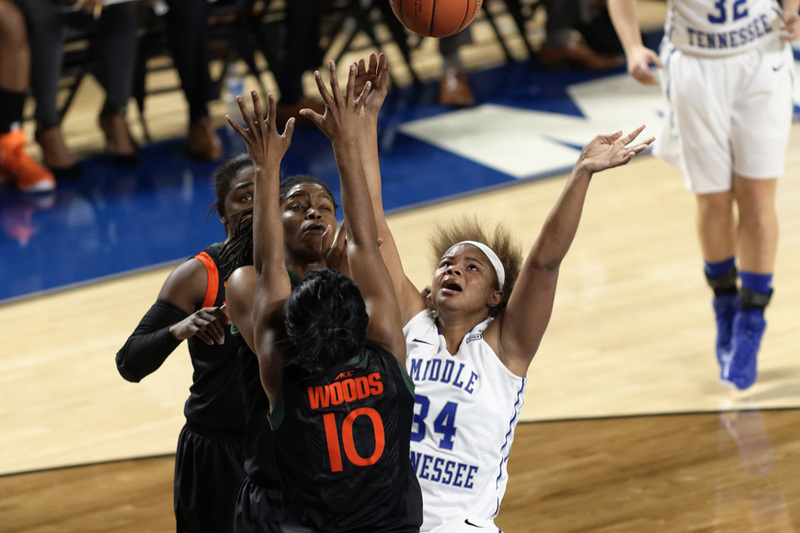 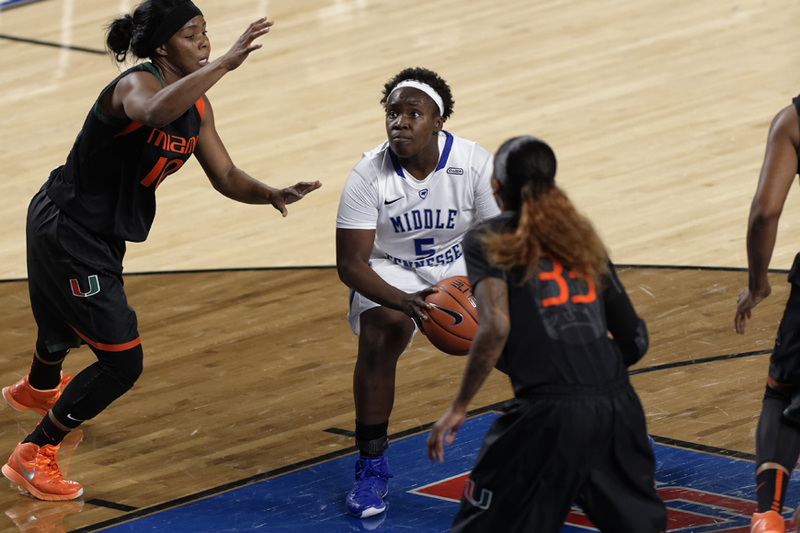 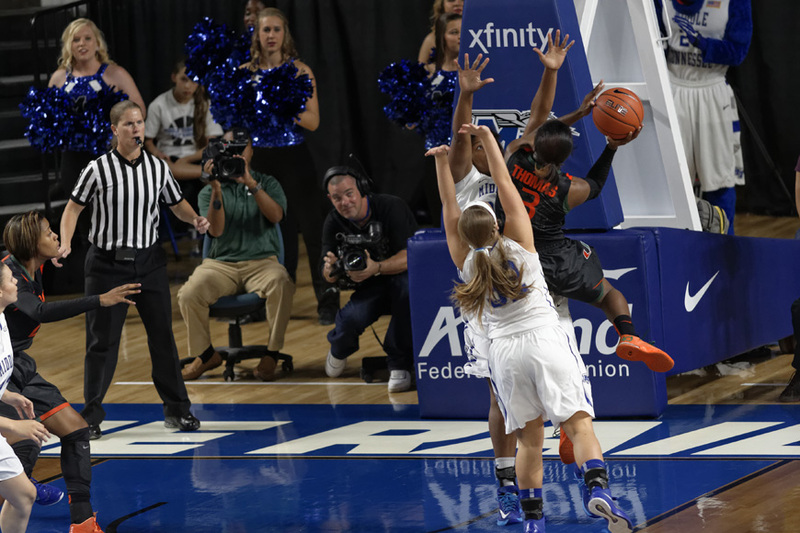 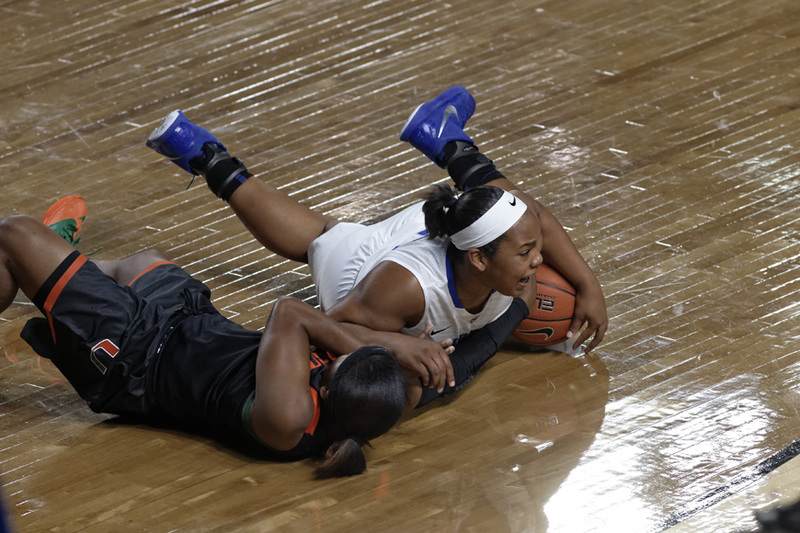 Junior transfer Brea Edwards had only six points on the night, but three of them proved vital as the Middle Tennessee Blue Raiders (1-1) knocked off the Miami Hurricanes (1-1) off of an Edwards three-pointer with 22.5 seconds left to give MTSU’s women’s basketball team a 53-48 victory. 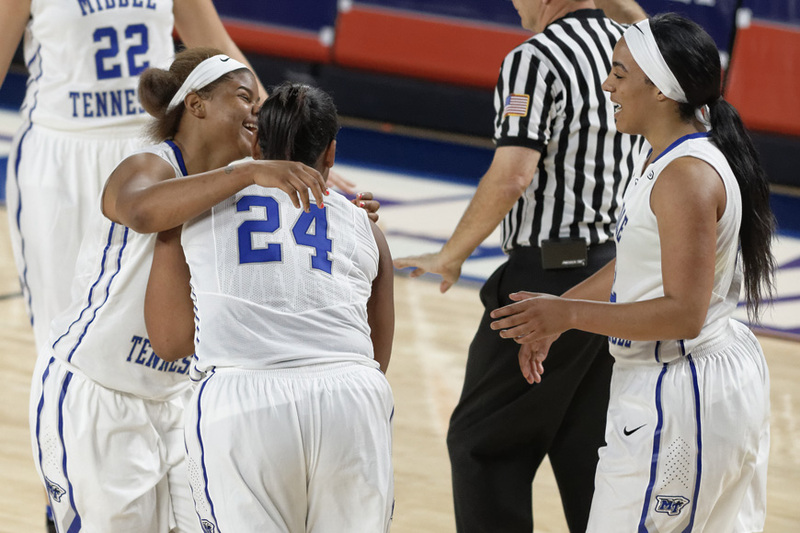 The Blue Raiders have now won 12 straight games at the Murphy Center and extend their record to 8-2 in home openers under current Head Coach Rick Insell. 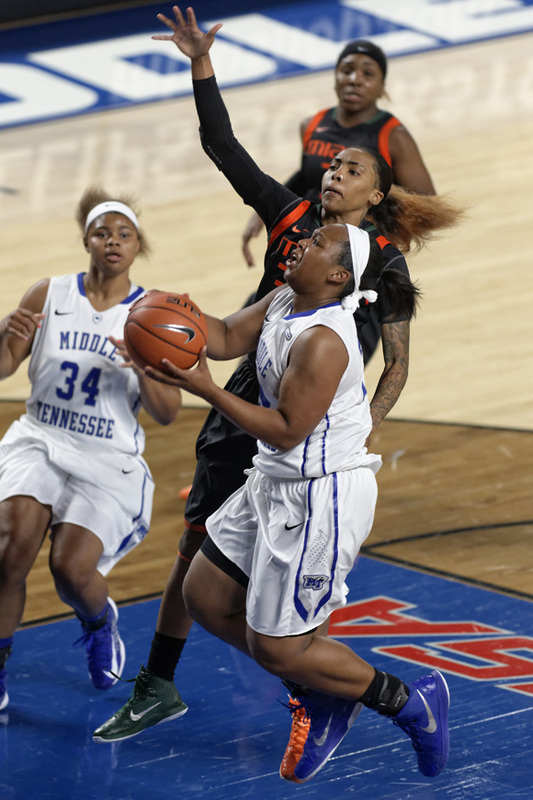 Insell’s Blue Raider teams are now 115-4 in matchups inside the Murphy Center since his hiring in 2006. 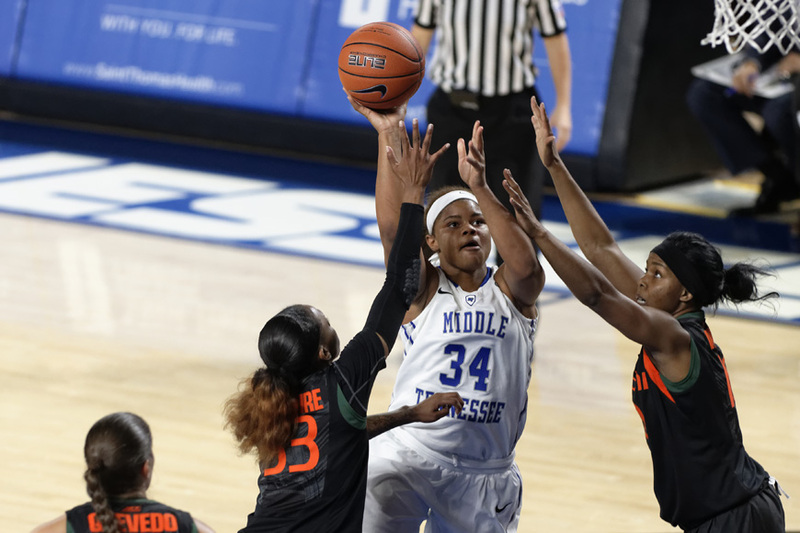 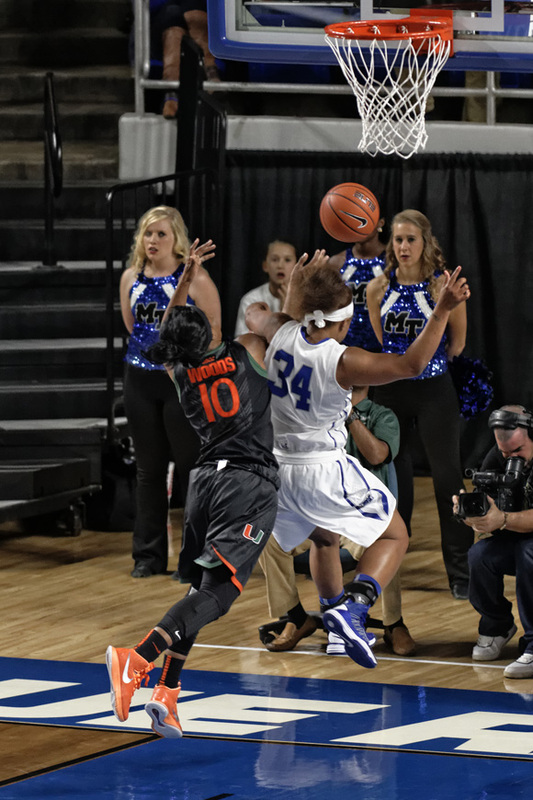 Sophomores Olivia Jones and China Dow proved to be the main factors of MTSU’s offense. 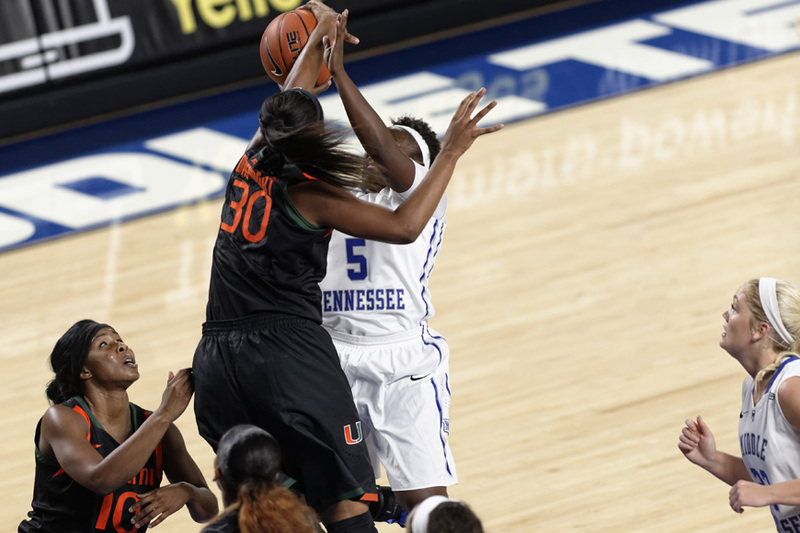 Jones played all 40 minutes of the game, posting 17 points and 11 rebounds in a double-double effort. 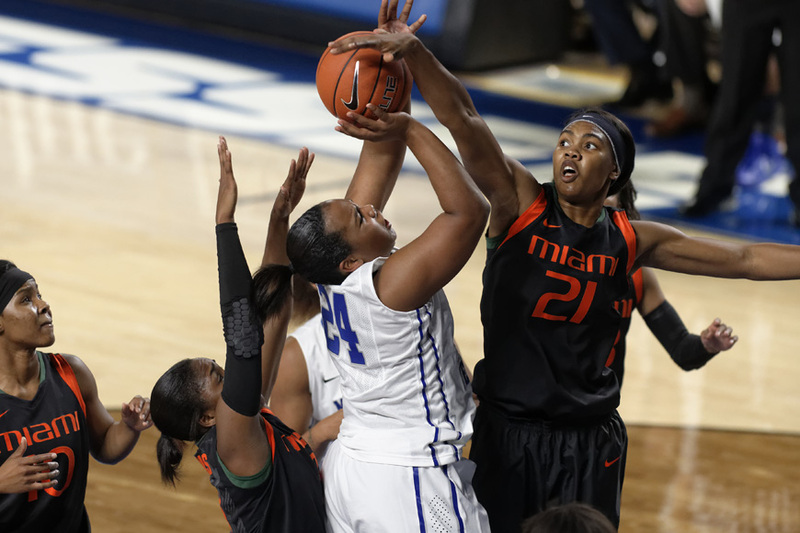 Dow added a career-high 18 points with seven rebounds and a team-high two steals. 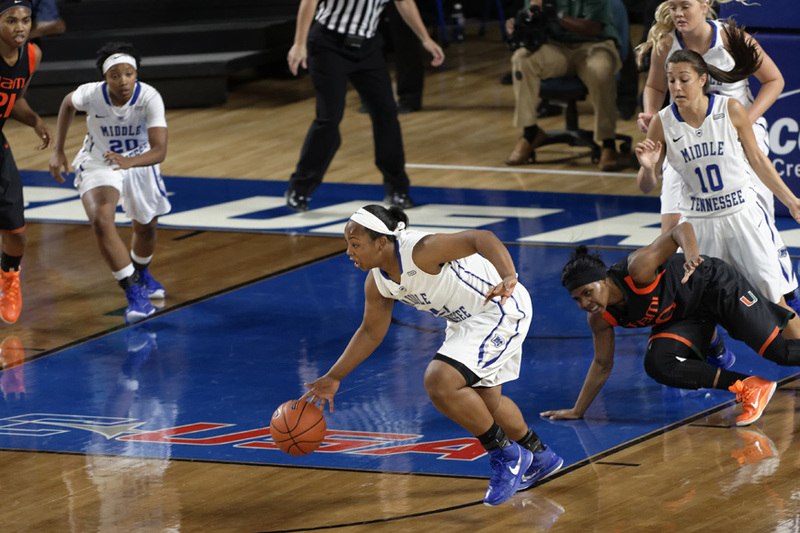 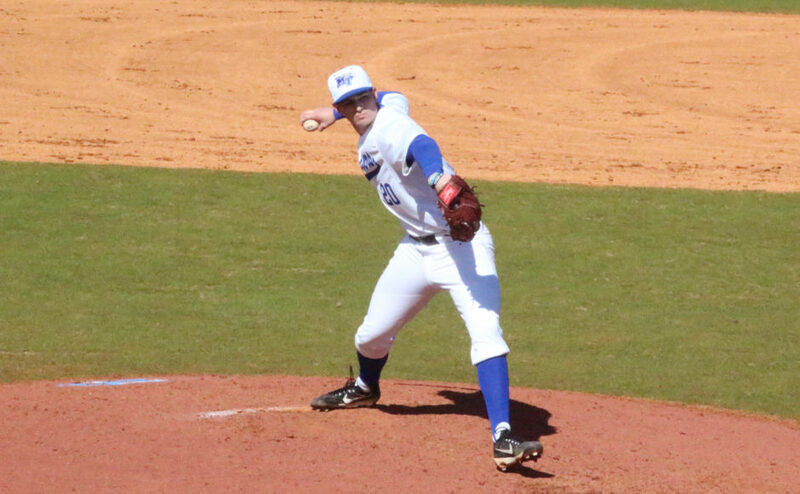 Overall, Dow and Jones accounted for 35 points of the Blue Raiders’ final point total of 53. 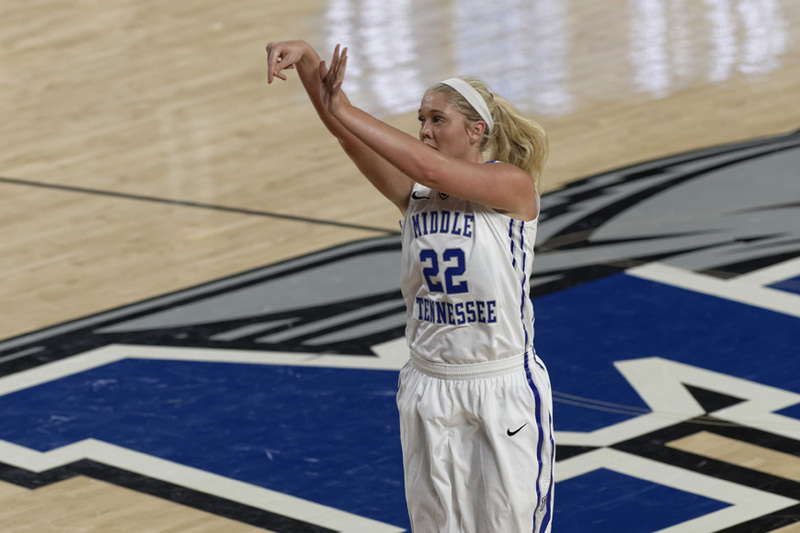 But, it would prove to be Edwards’ last three-pointer that would make the difference. 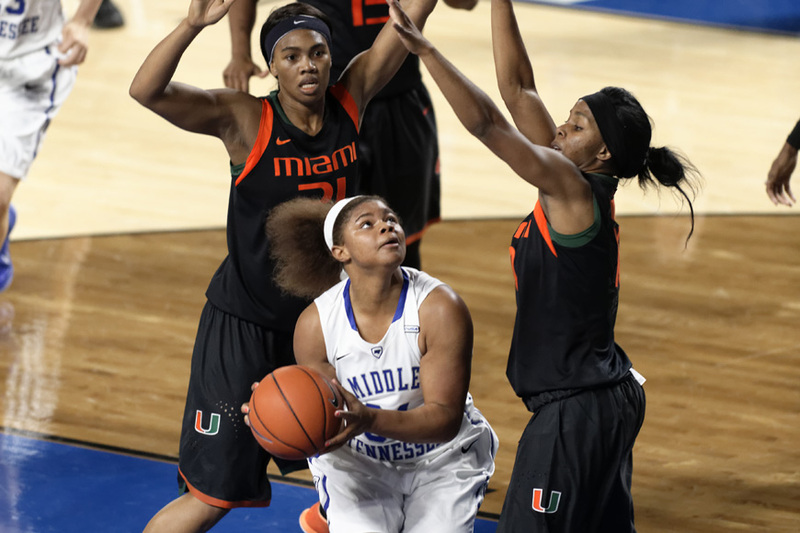 Senior guard Shanice Cason connected with an open Edwards on a cross-court pass for an open look from three-point range, which the junior transfer converted with 22.5 seconds remaining. 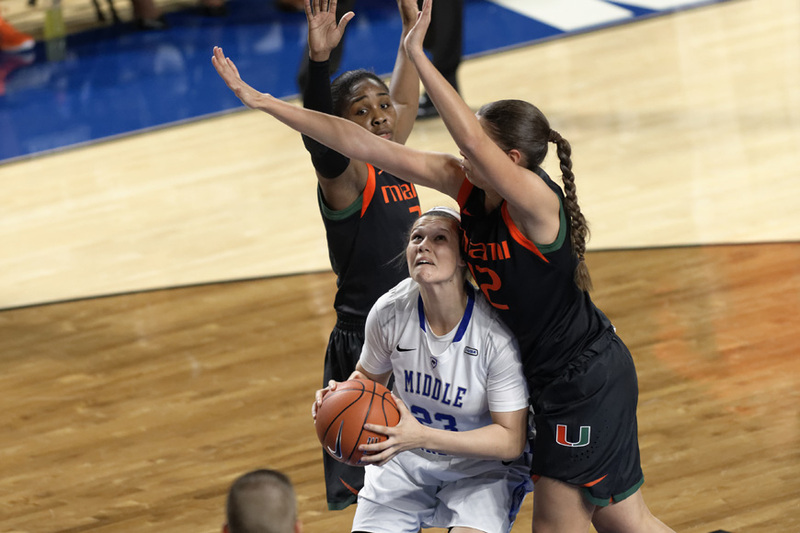 Miami had multiple chances to make a comeback, but Middle Tennessee would force a bad shot that would clang off the rim, followed by a turnover on the next possession. 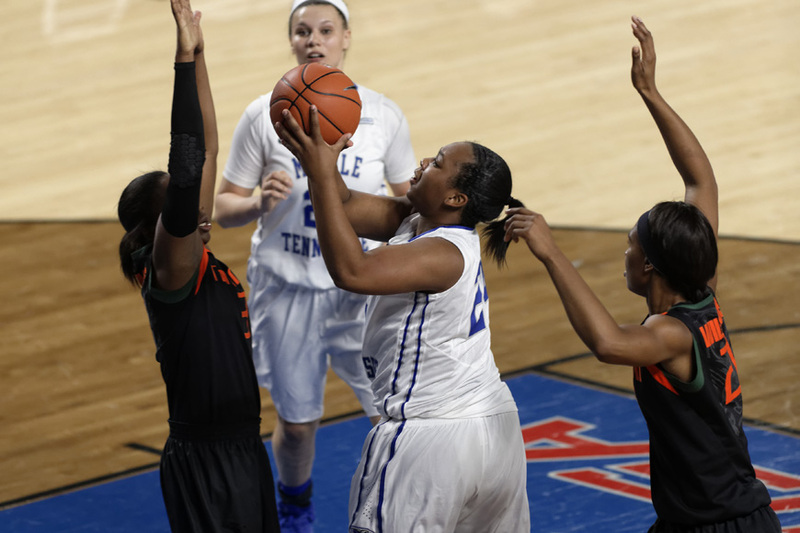 Dow would hit two free throws to seal the victory for the Blue Raiders. 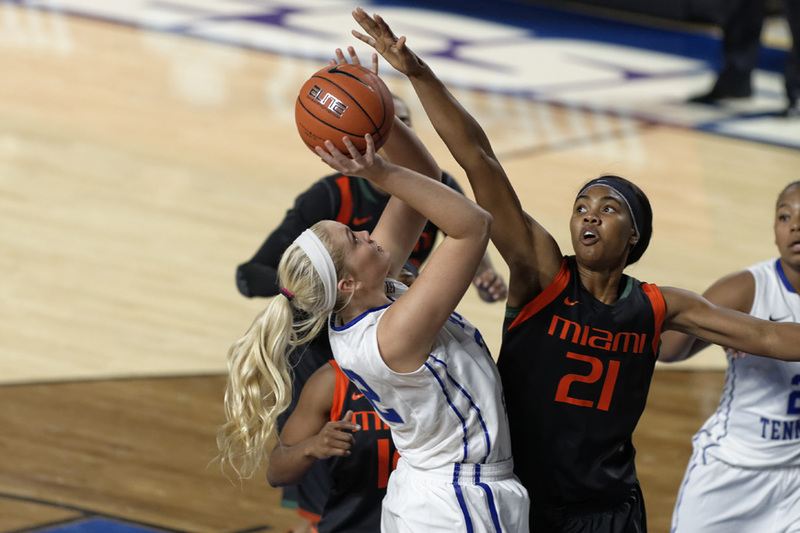 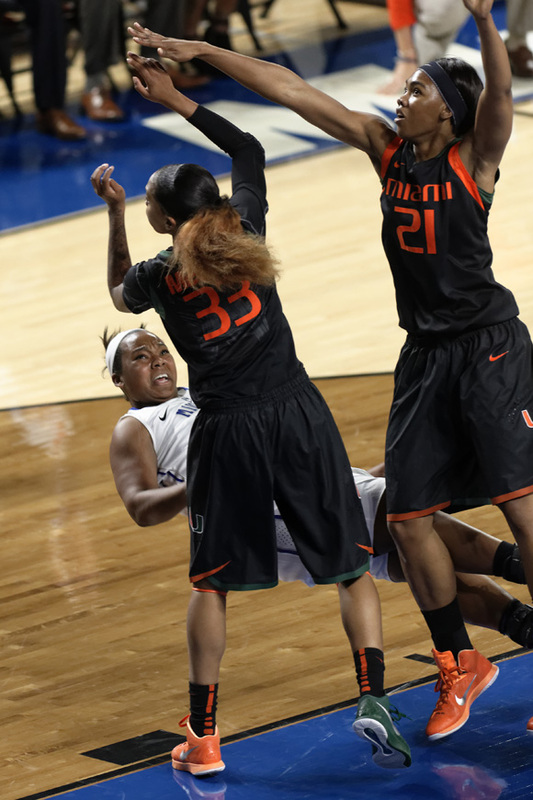 Miami was led by Jessica Thomas, who posted a team-high 17 points on 6-of-16 shooting. 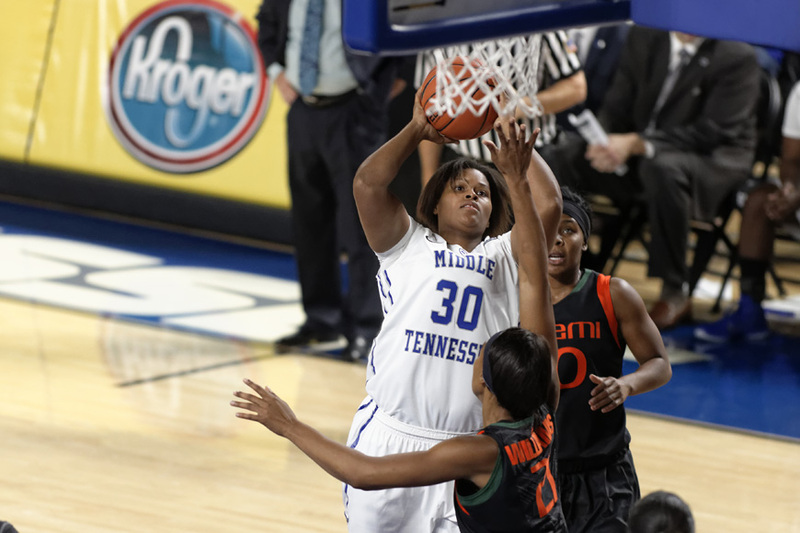 Michelle Woods finished with 11 points and four rebounds. 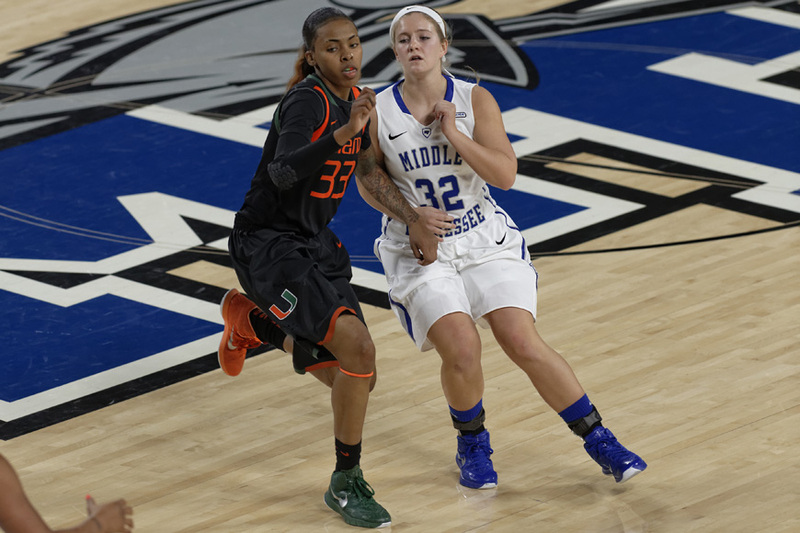 Nigia Greene rounded out the Hurricanes’ double-digit scorers with 10 points on 3-of-7 shooting. 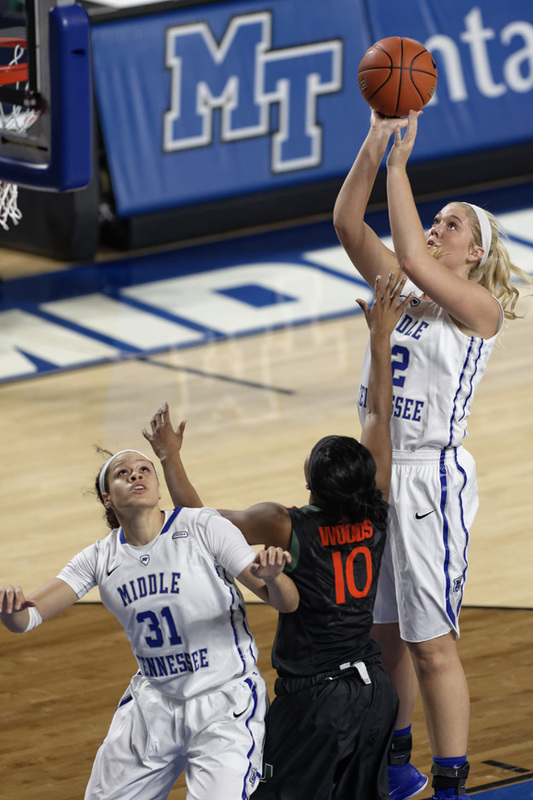 The Blue Raiders will remain in the comforts of the Murphy Center as they prepare for a game against SEC foe Arkansas. 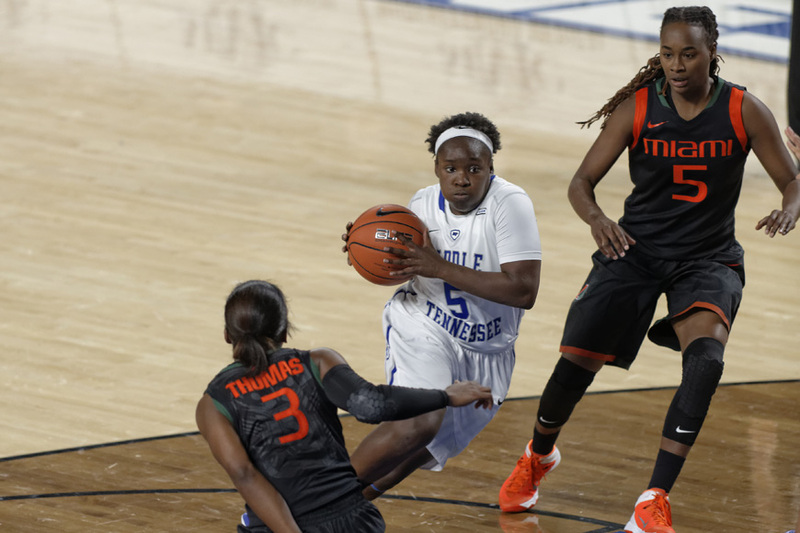 Tip off against Arkansas Head Coach Jimmy Dykes’ squad is set for Thursday at 7 p.m.